Some consider air travel an exciting adventure with the promise of wonderful new experiences at their destination. Some consider air travel a necessary evil, the boring bit between business meetings. Either way, whenever you fly on an airline you just expect the aircraft to be there, fuelled and ready to go as well as being stocked with all the food and drink your heart desires. Have you ever wondered what goes on behind the scenes to get the aircraft to the boarding gate in time for you to board? The process actually began up to year before the flights' departure. An annual timetable is worked out. First of all, the airline decides which routes they would like to service. The next step is to determine that the right number and type of aircraft will be available to fulfil the timetable obligations. Finally, the airline has to bid for slots. Airports around the world allocate departure slots so that they can move all the traffic without delay. The busier the airport, the more difficult it is to get slots and airlines have to bid for them. Now that it has been decided when and where flights will be going throughout the year, there is another important element that needs to be planned. Aircraft have to be maintained to the most stringent regulations. Some maintenance is carried out at a time interval whilst other items are carried out according to the number of hours the aircraft has flown. The maintenance schedule has to be worked out in conjunction with the timetable of schedule flights in order to minimize downtime. Airliners are hugely expensive and the airline needs for them to be in the air to remain profitable. Now that we have an aircraft for the flight, we'll need a crew to operate it. Most of us know that the cockpit crew have to be rated on the type of aircraft they fly but did you know that it is also the case for cabin crew? It is not possible to use a Boeing 747 crew to fly an Airbus A340. A crew roster is worked out each month. During the flight, you'll want something do drink. No doubt you'll also be expecting some food. After eating and drinking you may want to close your eyes so you'll need a blanket and a pillow. If you don't sleep, you'll need to be entertained so movies and music have to be provided. There is a team of people that decide what food will be served. 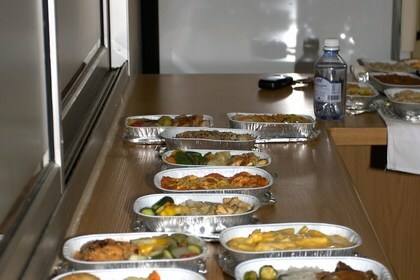 Passengers like to have a choice of meal. The route also determines what food should be served. A flight to Bombay for example will have a higher percentage of Muslim passengers so Haalal food must be on the menu. Passengers travelling to the States prefer a sweet breakfast whereas passengers travelling to Europe in the main prefer a continental breakfast. Passengers like to see the latest films and have a wide variety of music to choose from. Frequent flyers are also taken into consideration, as they will want to see different films every time they fly. All of the behind the scenes planning ensures that an aircraft and crew is available for the flight but there is still a lot to be done. The aircraft has to be in position on the apron. Check- in staff has to be ready at the check- in desk. Busses have to be arranged if the aircraft is parked away from the terminal building. A flight plan has to be filed with the air traffic control services for every flight. Clearances have to be obtained in order to over fly foreign countries. Obviously we won't be able to go anywhere without fuel. It's not a simple case of filling the tanks though. 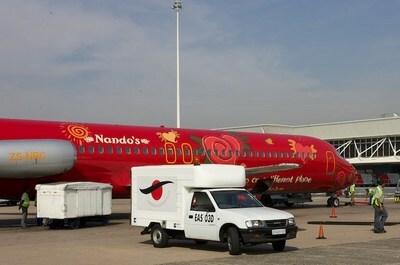 Fuel is heavy; a flight from Johannesburg to London will carry in the region of two hundred tons of fuel. If the aircraft is too heavy, it won't be able to take off. Transporting extra fuel also costs money so it makes no sense to carry fuel unnecessarily. The exact quantity of fuel loaded is determined by weather conditions and any expected delays at the destination. Most airlines operate a precision time schedule. The precision time schedule determines, to the minute, when activity should take place. A very important person in the operation is the ramp coordinator. He, in conjunction with the precision time schedule, oversees the preparation of the aircraft once it is on the apron. Should something not happen for example, the cleaners don't arrive on time; the ramp coordinator will contact the relevant contractor. It is essential to notify the operations control center if the problem might cause a delayed departure. Thirty minutes before departure the flight is closed meaning no more passengers can be checked in. 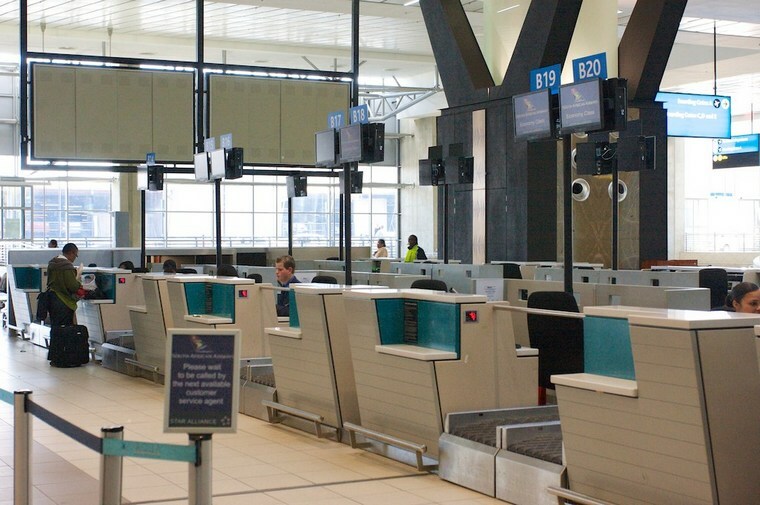 The reason for closing the flight is to allow passengers time to get through immigration - in the case of an international flight - and to the Boarding gate. The flight is then handed over to Departure Control, whose job is to trim the flight. The trimming of the flight is to calculate the weight, which includes passengers, baggage, cargo, food and fuel. 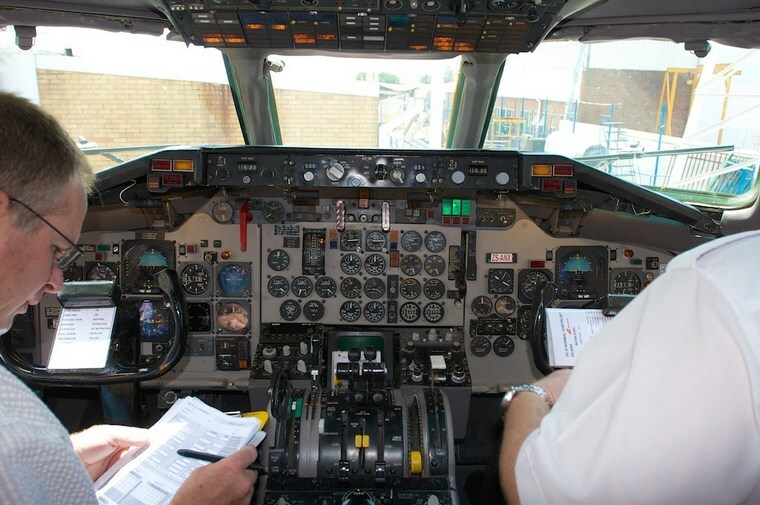 Once this has been done the pilots can then do their weight and balance calculations and advise Departure control in what position, either forward or aft, they would like the baggage and cargo loaded in order to give the aircraft the best trim. The final stage of the process is to get you the passenger on board and to your seat. After placing your hand luggage in the overhead locker, you can sit back and relax. So next time you fasten your seat belt, take a minute to appreciate everything that has gone on behind the scenes in order for you to fly to your destination.